Flying Accident-Free for 30 Years! One of our recently graduated students has been hired on with the Fire Department! That adds to the number of our graduates that have been hired on to similar jobs. This time it’s the Kansai Fire Department. Congratulations! Last year we had two students hired on at the same department at the same time. Marvelous! These students have all received training from ab-initio all the way through commercial pilot license, concluding with a multi-engine turbine rating. All with Alpha Aviation. The long, practical history and track record of Alpha Aviation, manifested in the nation-wide jobs opportunities our graduates are offered, brings about excellent merit to the existing students. Our graduate hired on at this time is 36 years old, and shows how the present economic climate doesn’t have a big effect. We keep seeing our graduates hired on time after time, and we’re very happy about that. An Enjoyable Flight Club Experience! A graduate from Alpha Aviation’s pilot academy, Mr. K, enrolled in the Flight Club and enjoyed his first Club flight in a Robinson R44 helicopter. The new video from Alpha Aviation concentrating on the airplane training department is now available on YouTube! Read more – ‘New Airplane-centric Video Available on YouTube’. A Private Pilot License Skill Test Passed! Mr. E today obtained a private pilot’s certificate at Alpha Aviation’s Shimotsuma Heliport. Read more – ‘A Private Pilot License Skill Test Passed!’. Formation flight at Fukushima Sora-no-hi festival Read more – ‘Formation Flight in the DA40’. One of our recently graduated students has been hired on with the Fire Department! 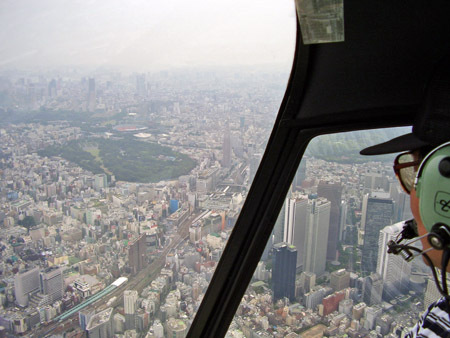 Read more – ‘Hired for Fire Department Helicopter Job at 36’.